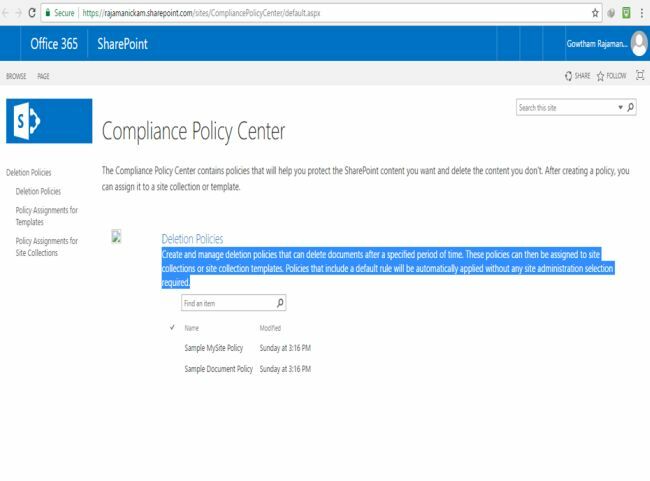 This article helps you to create Compliance Policy Center Site Collection in SharePoint 2013 Office 365. Let's learn about some of the rich features in SharePoint Online, which are available to the developers. 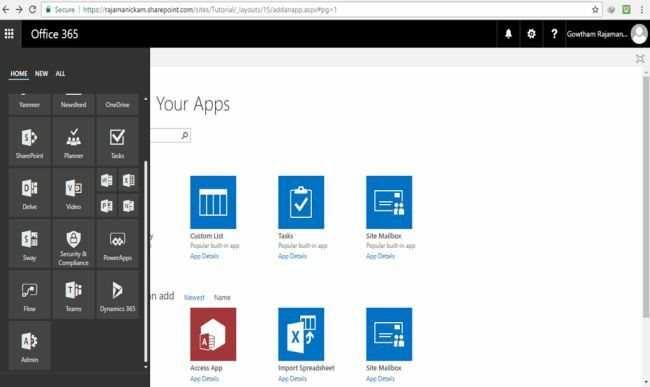 This article will help you to create a SharePoint 2013 Access app list, using OOTB method in Office 365. SharePoint 2013 Online is available with Office 365 Enterprise trial version and includes a wide variety of improvements and new features. In this article, we will see about how to create new search settings in SharePoint 2013 and how they improved in Office 365. 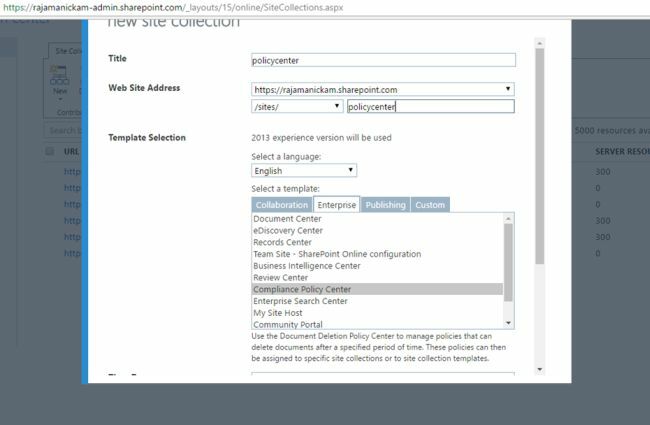 This article will help you to create a compliance policy center site collection in SharePoint 2013. Microsoft says you can easily create team sites, lists, libraries and the portals to discover, share and collaborate on the content with the colleagues inside and outside your organization from any device. Use this page to configure how search behaves on this site. SharePoint Online is a Cloud-based Service, hosted by Microsoft for businesses of all sizes. Instead of installing and deploying Microsoft SharePoint Server 2010 On Premises, any business can now simply subscribe to SharePoint Online to provide their employees with an enterprise-grade solution to create sites to share the documents and the information with colleagues and the customers. What is list in SharePoint? A list is a collection of data, which you can share with the team members and the other site users. The app is a word for all kinds of SharePoint Lists/Libraries and SharePoint provides a number of ready-to-use lists and list templates to provide a good starting point for organizing the list items. What is Compliance Policy centre Site Collection? Use the Document Deletion Policy Centre to manage the policies, which can delete the documents after a specified period of time. These policies can then be assigned to specific Site Collections or to Site Collection templates. Create and manage deletion policies, which can delete the documents after a specified period of time. These policies can then be assigned to Site Collections or Site Collection templates. Policies that consist of a default rule will be automatically applied without any site administration selection required. SharePoint Online is a major step forward for business collaboration deployment options. 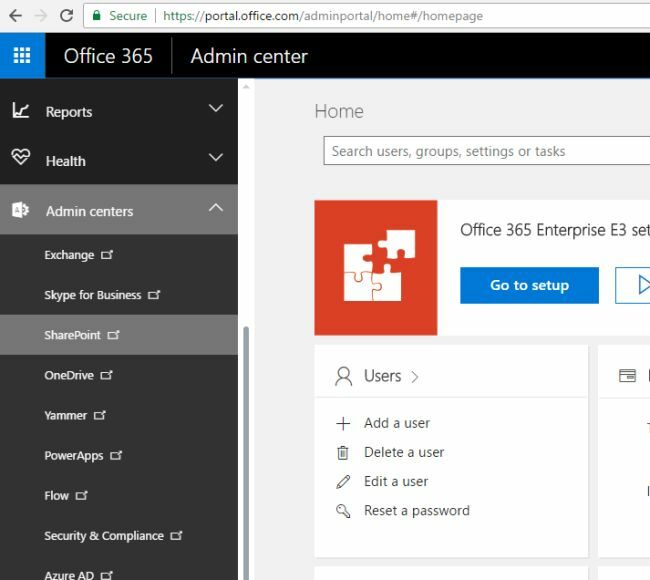 Steps to login in Office 365 SharePoint are given below. Enter Office 365 URL, type the username and the password. This will redirect to the page given below. Click Office 365 settings Admin icon, as shown below. Now, click SharePoint Admin icon. You will be redirected here, as shown. Click New Private Site Collection and select Enterprise tab in template selection. After entering the basic details, click Save button to save the new site collection. Yes, we have created a new Compliance Policy Site Collection centre in SharePoint 2013. Microsoft SharePoint Online Developer Guide is designed to help you gain knowledge and understanding of SharePoint Online within Microsoft Office 365, as you build and extend your online sites to meet your business needs. If so, please let me know at the bottom of this page. If not, let me know what was confusing or missing and I’ll use your feedback to double-check the facts, add info and update this article. Thanks. This is my 100th article. I hope the C# Corner team will identify my 100th one.